I’ll just come out and say it now, I’m a huge Transformers fan as I lived and breathed it as a child of the 80’s. Needless to say that I’m still a huge fan despite the Michael Bay films starting off strong and quickly descending into a scrapheap of a mess. 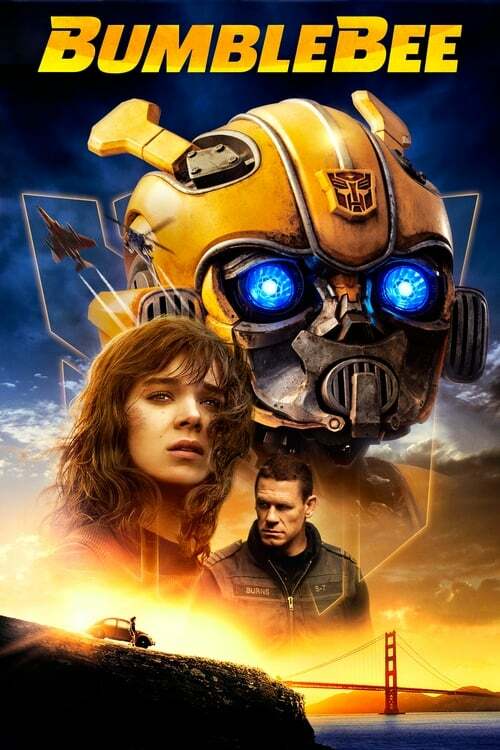 It’s so good to know a prequel was given to a different crew, and it’s exactly the change of pace it needed to bring us Bumblebee. An already incredible, fun film is even better at home in 4K with HDR and Dolby audio that proves its safe to enjoy Transformer movies again. Both Travis and Christian saw and enjoyed this at the movies, and you can check out their reviews for plot details and more while I roll out my two cents on the film and special features. I have to say I’m in complete agreement with both of them, though I probably had an even better time with the movie thanks to being a child of the 80’s. I felt like they captured the spirit of the decade pretty well here, from the old cassette player Charlie has, to her room decorations, to the awesome generation one look of the Transformers themselves, everything screams the 80’s here. I’m so glad they decided to go with the retro, generation one look as fans like myself have been wanting it for so long. I really hope they continue to use it going forward with future Transformers films, as I loved seeing Arcee, Brawl, and other lesser known characters at the very start of the movie and being able to recognize them from their classic look. Speaking of seeing stuff, you know the visuals and audio are on point thanks to the 4K HDR setup here, as everything looks and sounds amazing while placing you right in the middle of the action. Then there’s the awesome special features, starting with a physical comic book that’s packaged in this release called “Sector 7: The Battle of Half Dome” that serves as a continuation of the film and has our yellow hero facing off against one of my favorite Decepticons, Soundwave. And if that wasn’t enough comic book action for you, there’s the motion comic version included on the disc as well. Other extras include “Bee Vision: The Transformers robots of Cybertron” that breaks down the opening scene featuring loads of classic characters I mentioned earlier and gives bios and info on each of them, “Bringing Bumblebee to the Big Screen” is a giant featurette broken into multiple parts that features interviews with some of the cast and crew as they discuss various production aspects of the movie, what made it have the classic generation one look, loads of behind the scenes footage, and more. Lastly there’s some pretty cool and funny outtakes and deleted scenes that add some extra fun to the package. If you’re a child of the 80’s, a Transformers fan, or someone who enjoys fun action films, chances are you already have Bumblebee in your collection. It’s easily the best Transformers movie since the 2007 classic, and literally has more excitement and adventure than meets the eye thanks to a good cast, cool special effects, 80’s tunes (they even snuck in our man Stan Bush with “The Touch”), and a spot on 4K HDR presentation that’s a must-have for your collection.